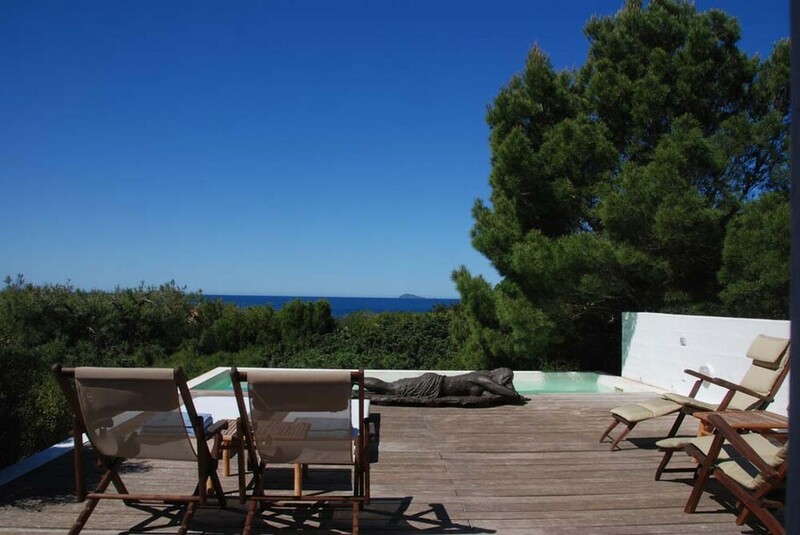 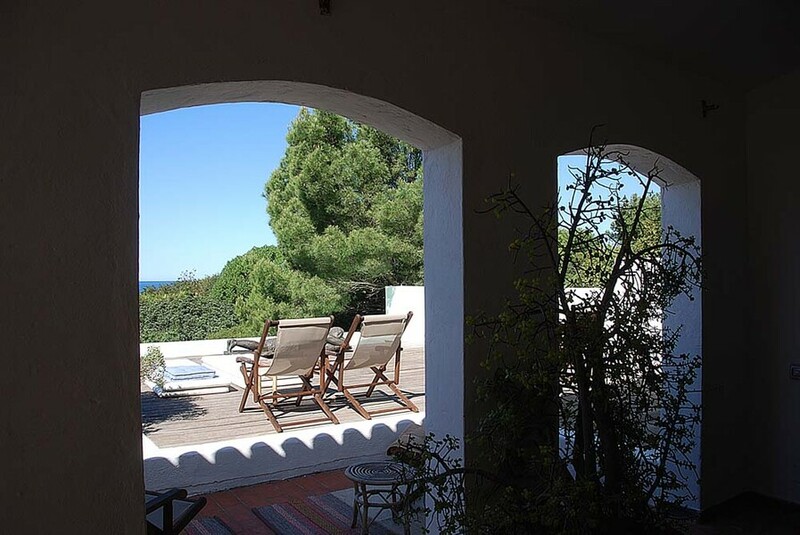 A white house nestled in luxuriant greenery, standing out against the azure sky and overlooking the deep blue Mediterranean Sea... Casa dei Lentischi is a lovely villa located close to Porto Pino with direct access to two gorgeous beaches of fine golden sand. 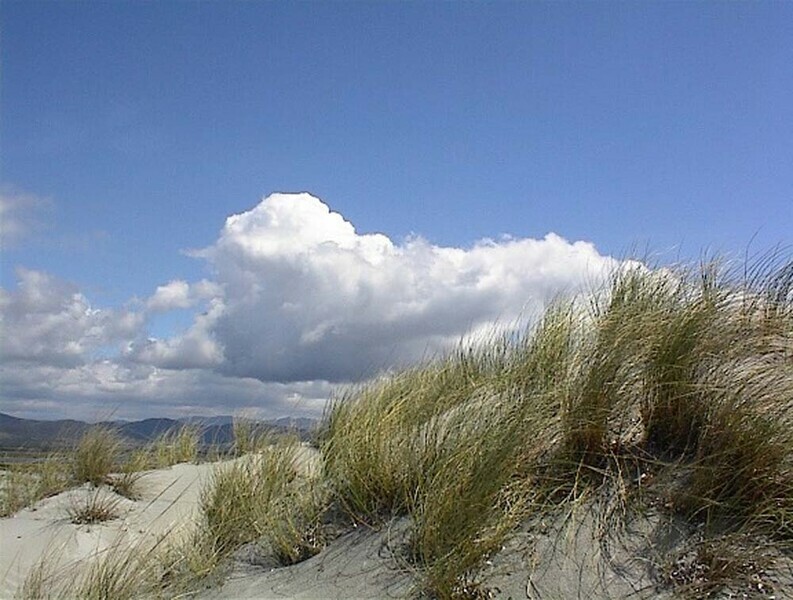 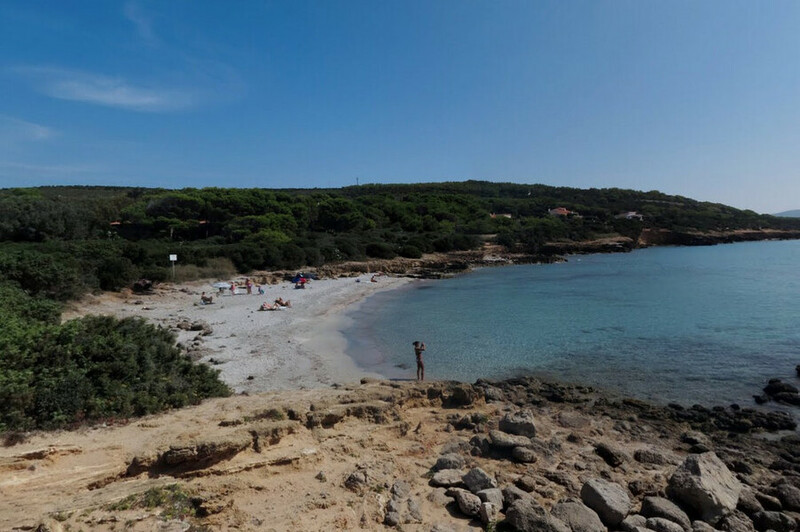 The area surrounding the property gives pride of place to unspoilt nature such as a wild portion of beach (only accessible in summer) and water points, which have become the home of pink flamingos. 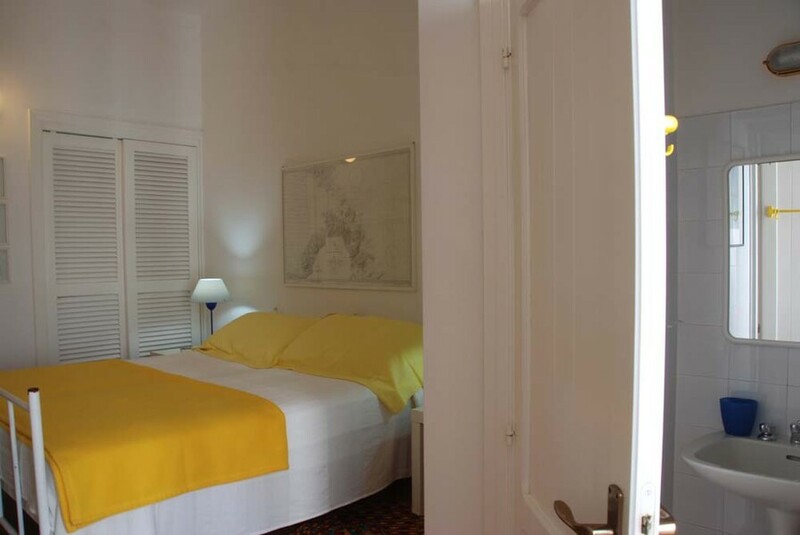 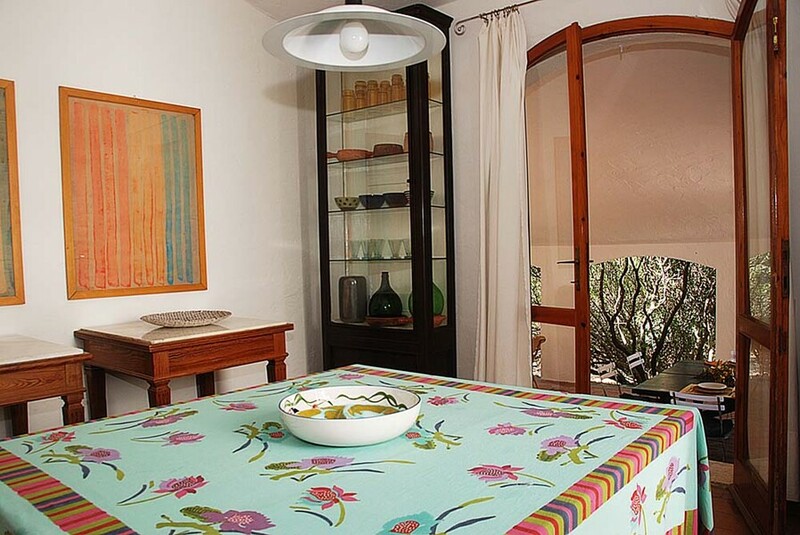 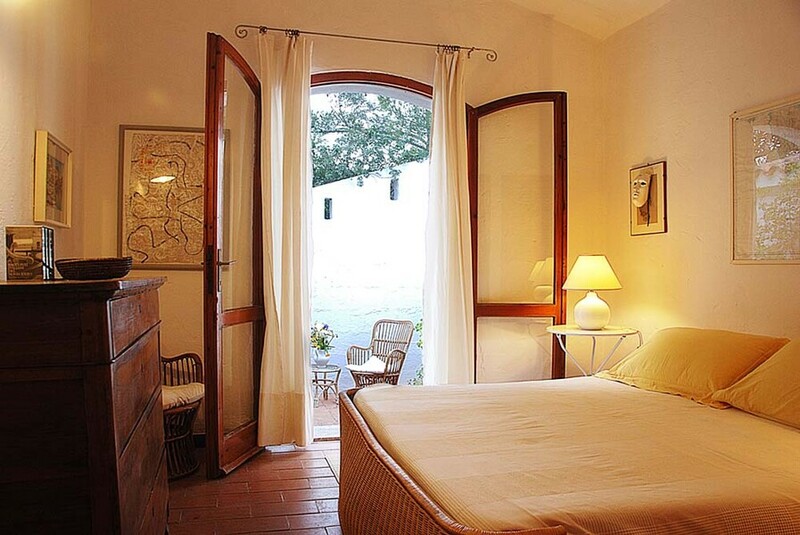 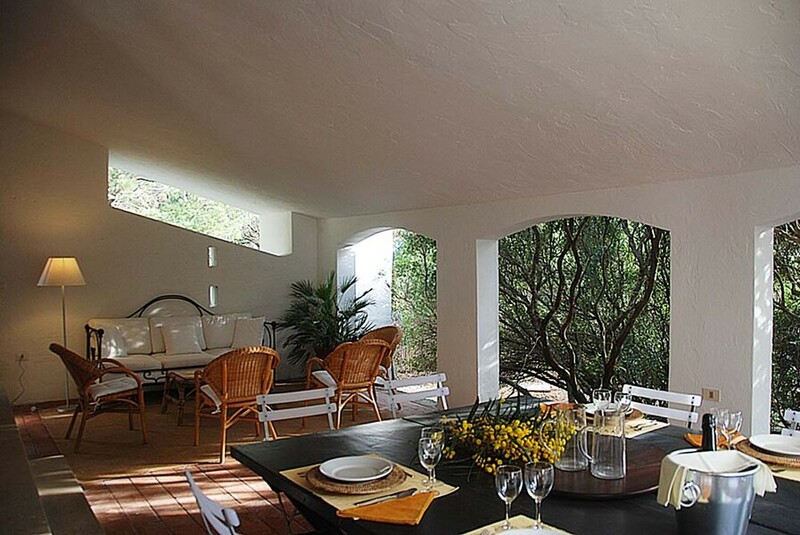 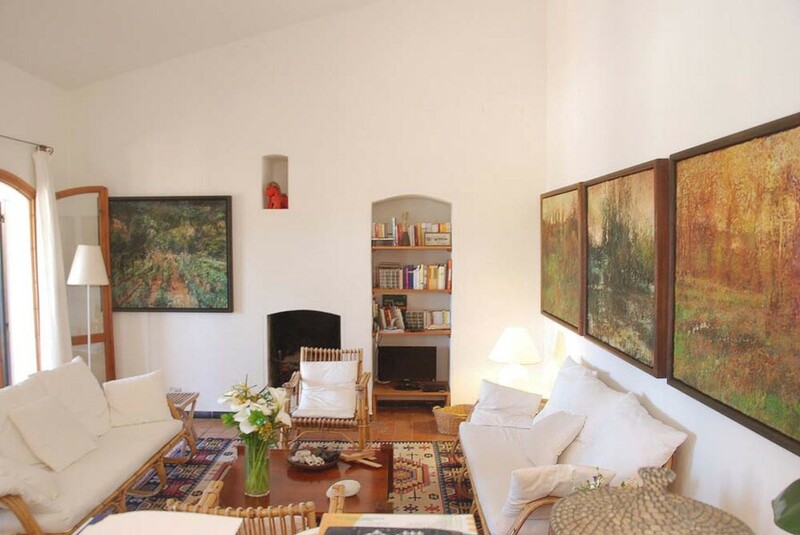 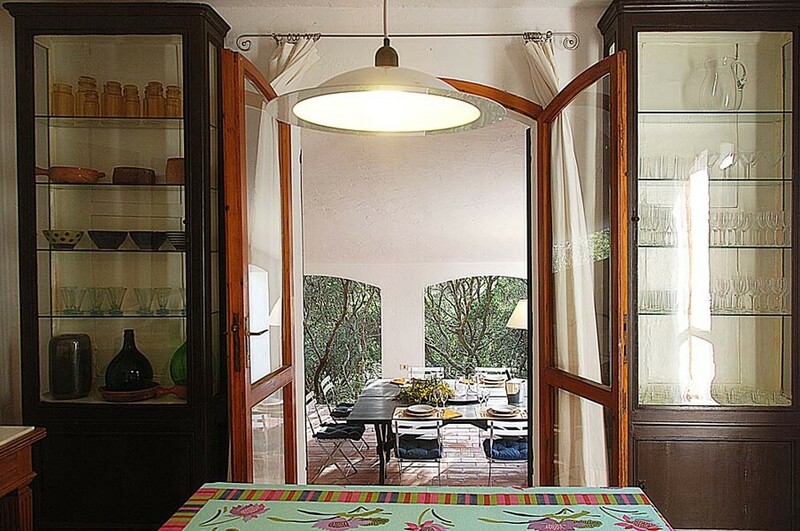 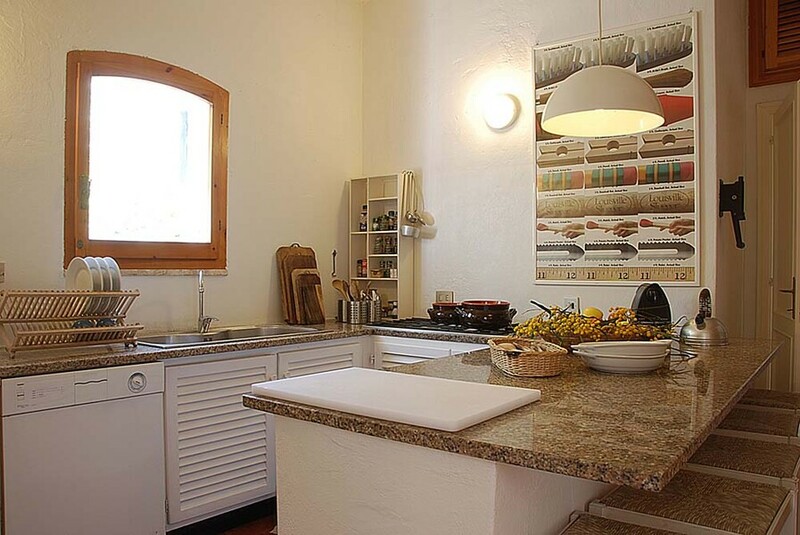 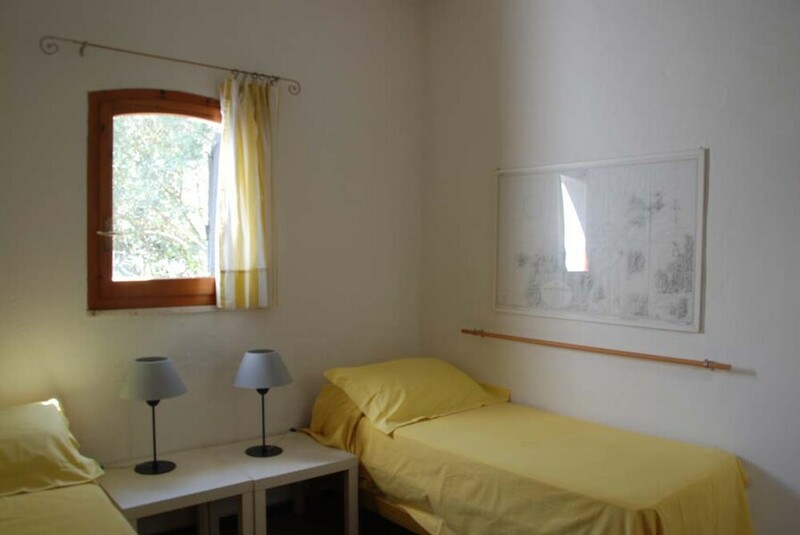 Casa dei Lentischi is a single-storey house with a classic Sardinian decor. 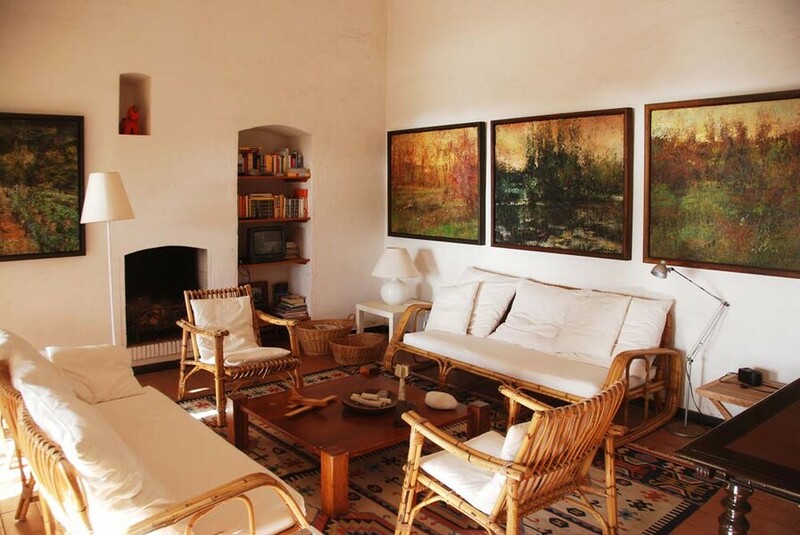 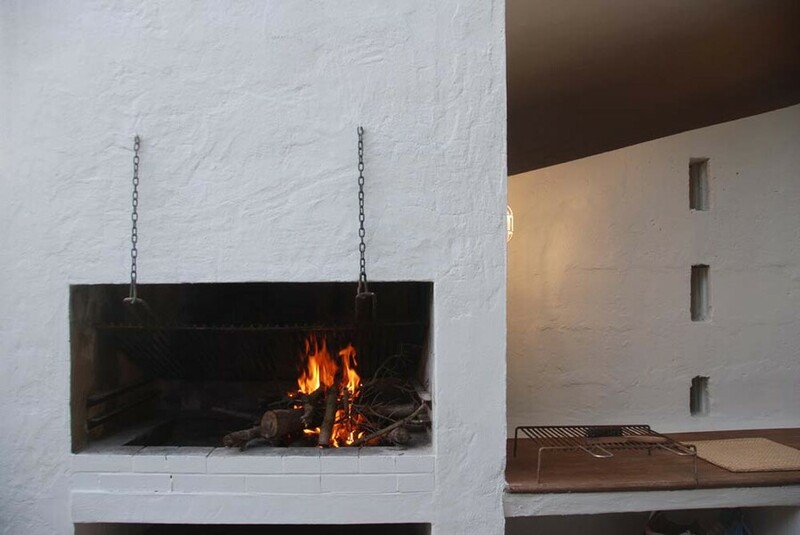 The bright rooms have a welcoming atmosphere, further enhanced by the presence of a fireplace. 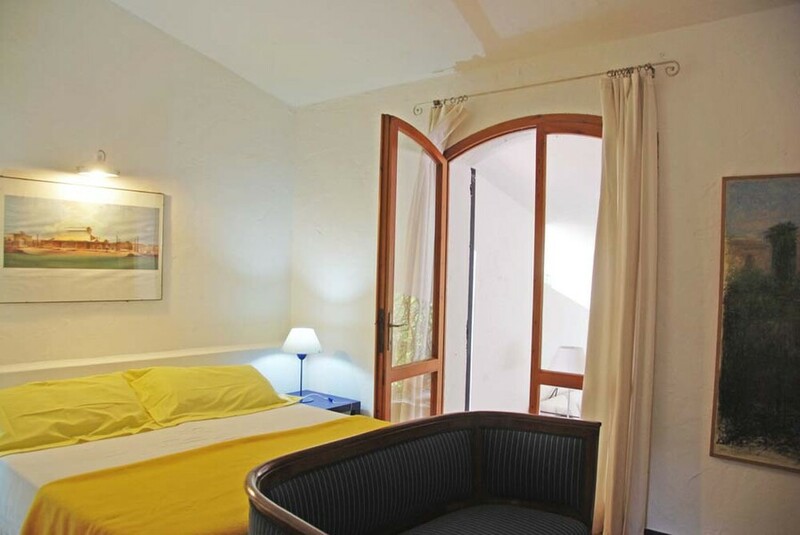 There is an en-suite bathroom for each of the bedrooms, the majority being connected to one of the covered terraces. 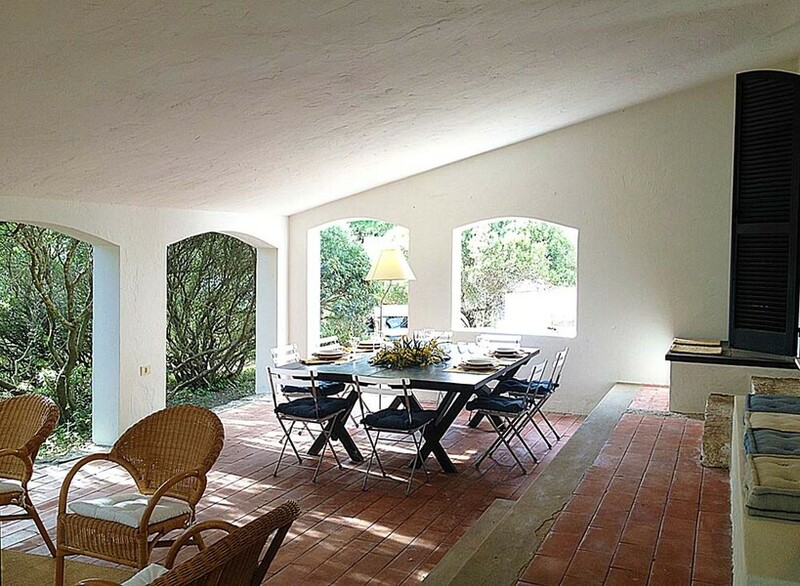 One of them is equipped for eating al fresco. 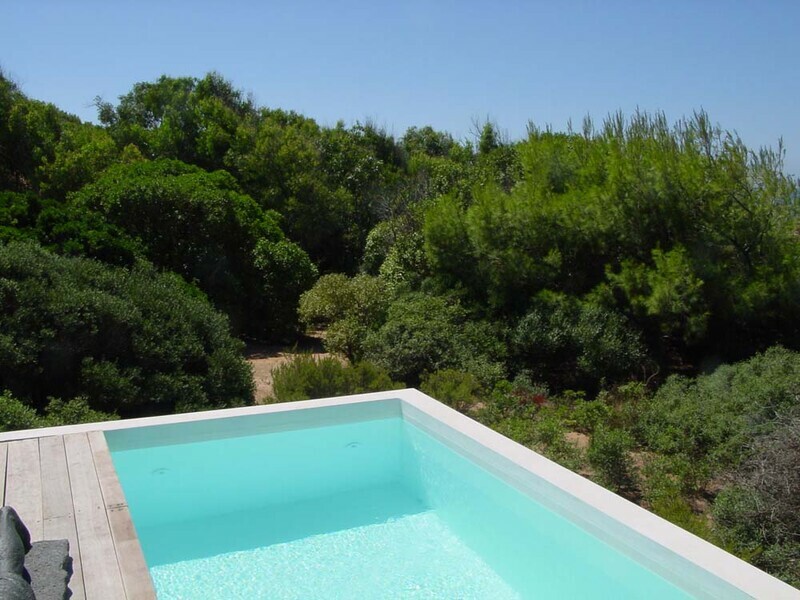 A further terrace in the sun provides the perfect relaxing spot, with a pool (7 x 2,5 metres) to cool down. 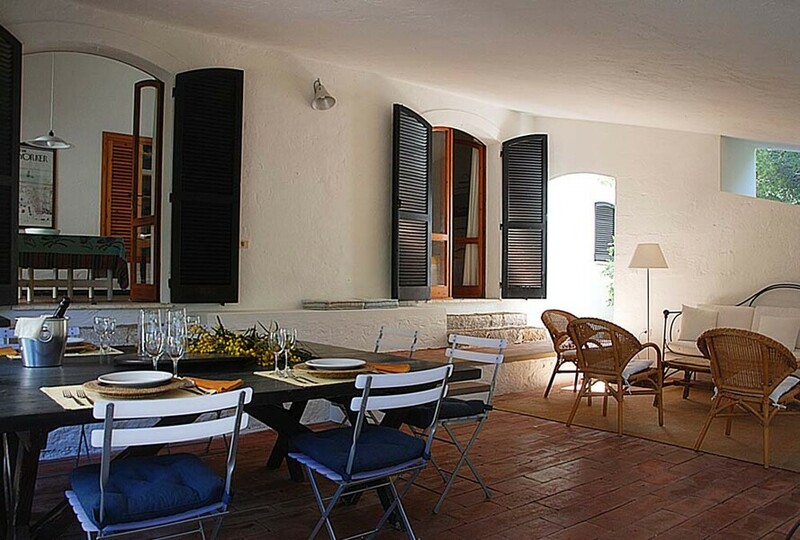 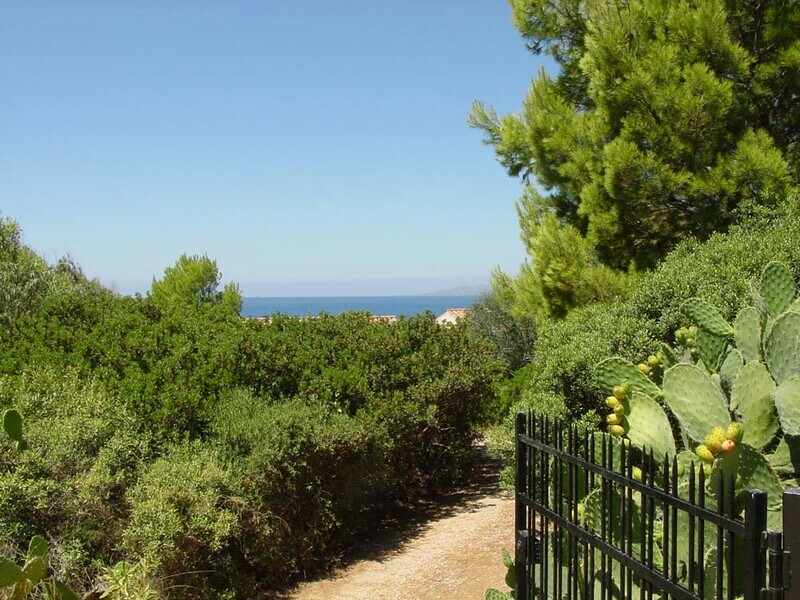 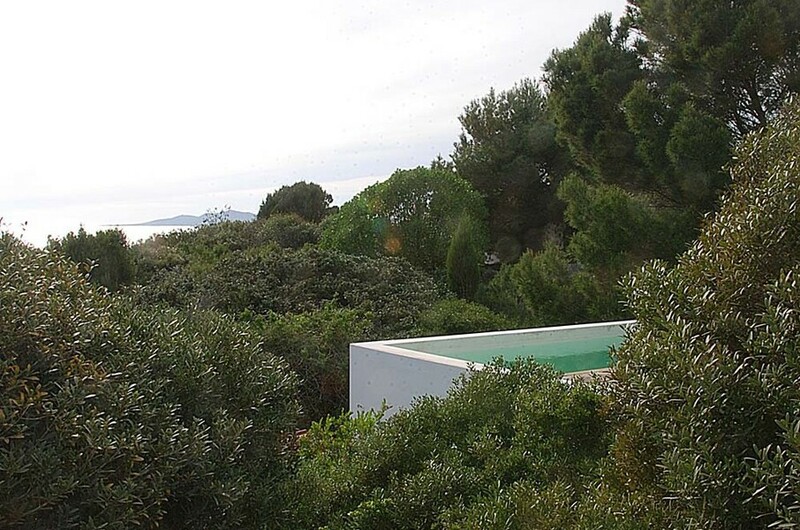 The property is also ideal to explore the natural beauties and archaeological curiosities of Sardinia. 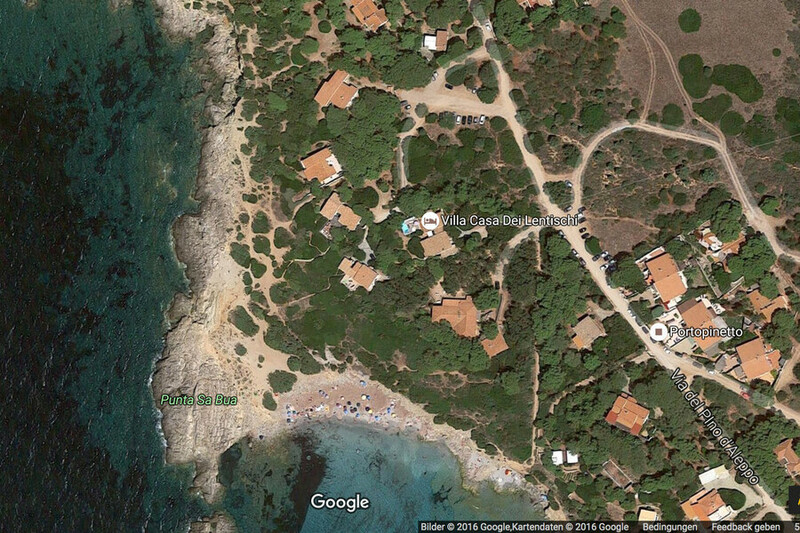 The last photo shows the nearest sandy beach, called "Cala dei Francesi", only 100 metres away. 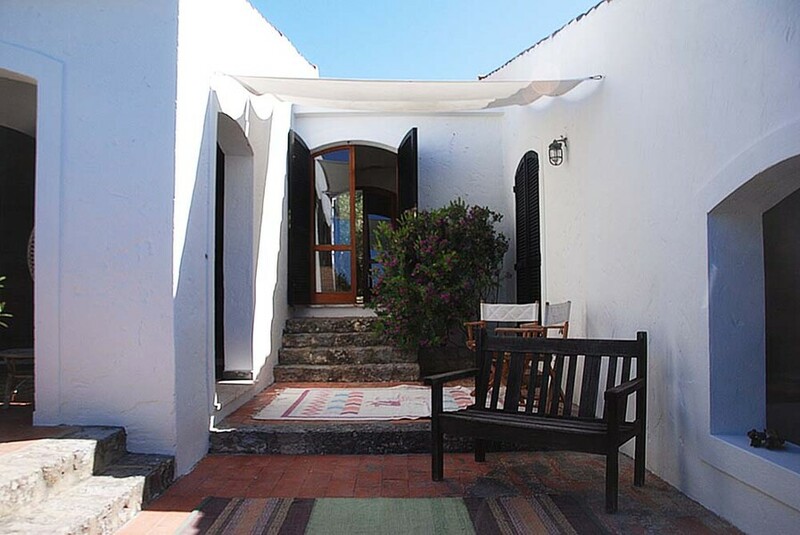 Ground Floor: Entrance; a sitting room opening on to the garden and patio; a dining room opening on to a covered patio furnished for dining outside; large kitchen; double bedroom with en-suite bathroom/WC (shower only) opening on a small terrace; double bedroom with en-suite bathroom/WC (shower only); twin bedroom with en-suite bathroom/WC (shower only); double bedroom with en-suite bathroom/WC (shower only) accessible either from the external patio or from the twin bedroom; double bedroom with en-suite bathroom/WC (shower only) accessible only from an external covered patio.